We learned that the first person was dead when we were baking the cake. By the time I blew the candles out, the second person was dying. This was my fourth birthday celebrated in Pakistan, and like all the others it was more painful than fun. Karl Unterkircher, of the Italian team, was a great climber. He summited both Everest and K2, pioneered a new route on Gasherbrum 2, and now suffered a fatal fall into a hidden crevasse on the Raikhot Face of Nanga Parbat. His partners struggled through the night to get to his body, wedged some 50 feet deep in the crevasse, where either the cold or injuries or some combination slowly stole his last breath. A phone call from Italy, interrupting the hourly calls from Iran, brought us this news. Karl’s partners were unable to reverse their route, the Italian said, and were now forced to descend our face on Nanga Parbat. Could we help? 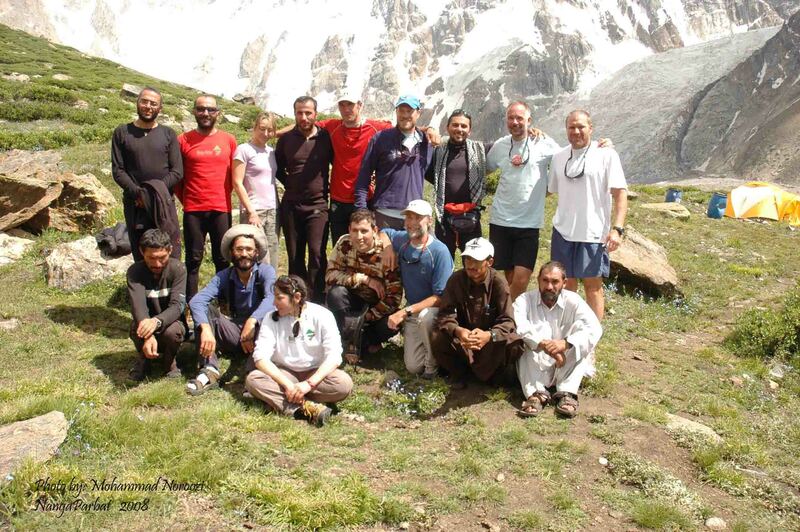 High above base camp, our Iranian friends were caught in their own epic struggle for survival. Their summit bid was harder and longer and more exhausting than imagined. Leaving Camp 4 just past midnight they didn’t start to summit until 4 p.m., the last of climbers topping out at 6:30 p.m.
Below the summiters, a single Iranian climber, Saman Namati, was struggling in a futile attempt to reach the top. Earlier in the day he had agreed to return to Camp 4, but for some reason (probably driven by the delusions of Cerebral Edema) he first turned toward camp, then started back up. Separated from his team mates and with no walkie talkie to communicate, he wandered all alone, following their foot prints, but lost none the less. Just shy of 7 p.m. , with less than two hours of sunlight left, the Iranians began their descent from the summit. From base camp, their progress seemed immeasurable. All radio calls went unanswered. 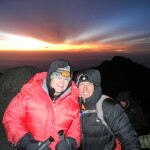 It was clear that this was an exhausted team, incapable of making it even to the safety of Camp 4 this night. As darkness descended, the head lamps made it easier to see the climbers. Without those lights, or the strongest pair of binoculars in base camp, it was nearly impossible to distinguish a rock from a person, without a vivid imagination. But base camp was not short of anxious spectators. All sorts of rumors had circulated throughout the day, and the question of where was Saman, had all sorts of answers. At 9:30 p.m. we saw Saman’s light, far off to the right of the rest of his team. For some reason he left the trail of foot prints and traversed some rocky terrain, heading for a steep cliff band. 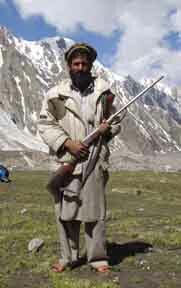 He was hidden from his friends, on a slope that lead even further from Camp 4 and the route to base camp. His light stopped shining shortly after that. We now had one confirmed sighting of Saman, and it foretold the worst. A storm blew in that evening, as predicted. The five Iranian summiters gave up the fight for the tents at 1:30 a.m. and huddled together to await dawn. They were at a height of 25,000 and without sleeping bags or shelter we all feared frostbite or worse would grab first one of the weakest, then the next. At 5:30 a.m. base camp overheard a radio call. The tent was found. They had survived the night. All morning, we received short calls from the team. They would try to reach the safety of Camp 3. But overwhelmed by grief and exhaustion, their 11:30 a.m. departure slipped to 1 p.m. then finally 4:30 p.m. Again it would be a struggle through the night, to reverse their steps and upon reaching C3, to erect tents. Saman, it was assumed by all, was dead. He spent two nights without shelter, above 25,000 feet. The first 24 hours were spent in a struggle towards the summit, the second 24 hours were spent laying in the snow. It seemed logical that he would be dead by now. But at 10:30 p.m. 25 hours after his light was last seen, 46 hours since leaving Camp 4, a flash of light sparkled from the remote right corner of the summit pyramid. I was stunned when I saw it. I called to my team. Get out of your tent. Tell me if I’m seeing things. And the light flashed again. Somehow, after 46 hours of struggling, in sub zero temperatures, with waves of storms hitting the mountain, Saman Nemati, a 27 year old climber, from Iran, with no prior 8000 meter peak experience, had kept himself alive. He had no food, water or shelter. His brain was likely affected by the swelling effects of Cerebral Edema. There were no explanations for how he survived, and there was no realistic hope that he would survive another night. At least among the experienced, there was no hope. Among those who knew no better, Saman was alive and a rescue should be launched. In the early hours of the Iranian descent, the Iranian base camp was in contact with the families in Iran. When Saman’s light stopped flashing that first day, the family was told that he was likely dead. Now it was reported that he was still alive. The family wanted a rescue, but there was no one within 3-4 days of him with the strength to rescue him. Even if he was alive when a rescue attempt was started, he was clearly so bad off that he wouldn’t survive to see his rescuers. And that is assuming anyone could even get to him. A series of blizzards were forecast. Any rescue attempt would put lives at great risk. How many lives? We would need nearly ten climbers to move him across the treacherous terrain to base camp. A helicopter could land no higher than 20,000 feet, and with the steepness of the terrain, the first landing zone was at 17,000 feet. If we found him alive, we would have to lower Saman for nearly 8000 feet, which would take ten rescuers over 4 days to accomplish. I prayed that Saman, who flashed his light 5 times in those 40 minutes, then stopped, was saying goodbye. But in Iran and in the minds of a few Pakistani kitchen staff and one exhausted Iranian in base camp, Saman was telling us to come and get him. It was easy to see the source of this hope. But it was impossible for me to see past the dangers of this renewed call to launch a rescue. I tried to caution their enthusiasm, but it consumed them. By dawn there were rumors, coming out of Iran, of a Pakistani helicopter that could fly from to 25,000 feet on Nanga Parbat to pick Saman up. There is no such helicopter in Pakistan. But no one would listen to the many old hands around who kept telling them this. The Iranian Embassy was now involved. Meanwhile the five surviving Iranians were still struggling in their own fight to descend. It was after 2 p.m. when they finally crawled from the tents at Camp 3 to return to the struggle of the descent. At dark they reached Camp 2 only to find all their equipment had been blown away. For the survivors it was to be another epic night. Meanwhile, our porters had come. Our camp was packed and I lingered behind the team to be a voice of reason for the Iranians, who were falling prey to a local school teacher who claimed to see Saman sitting, then fallen over, on a distant patch of snow. Trying in vain, with my 20/15 eye sight and those same old binoculars, I couldn’t tell if this was a person or one of a thousand rocks. No one else could tell the difference, but none the less this rumor fueled the need to launch a rescue. High Altitude Porters from Skardu were rounded up. Bruce Normand, who climbed K2 with me in 2007, was enlisted as the leader of the rescue team. 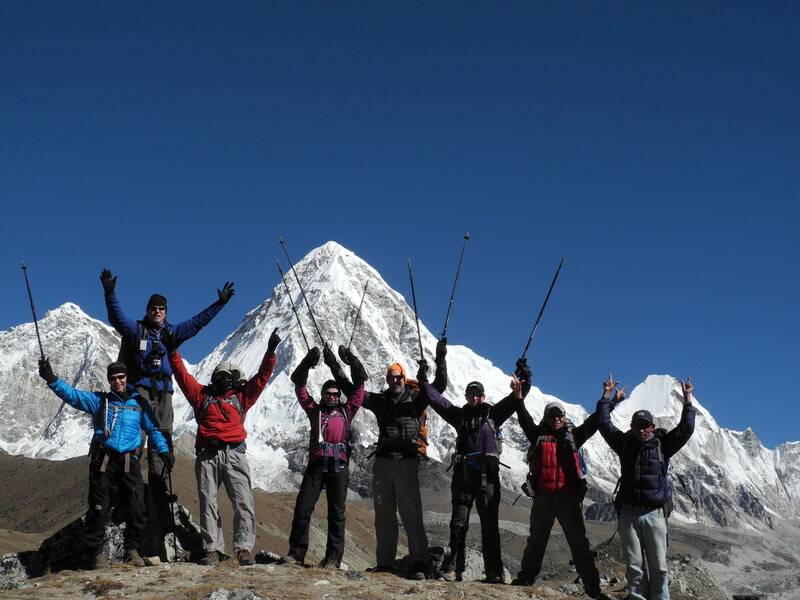 On the morning of July 20, as my team walked to the trailhead, Bruce and his team were flown to Base Camp. The mountain was again covered by storm. Rain fell in base camp and snow higher on the mountain. Any recon flights were impossible. I am home now. 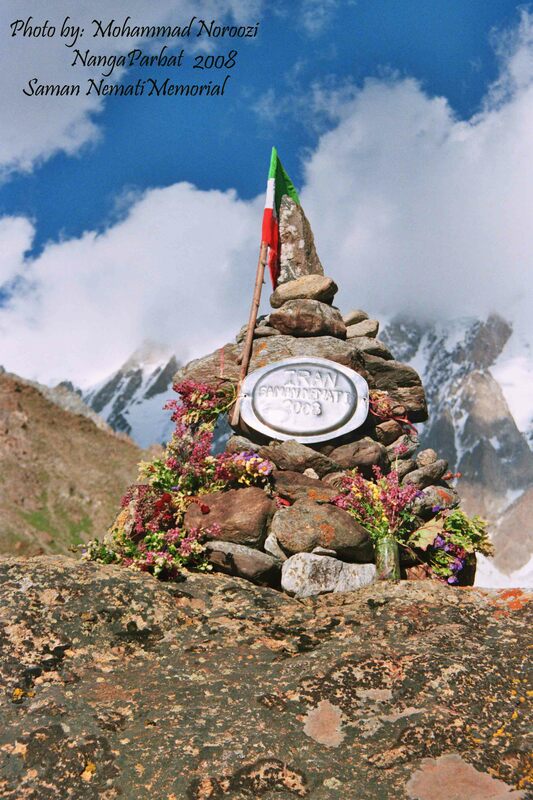 Saman rests high on Nanga Parbat. Karl Unterkircher rests deep in a crevasse on the mountain’s far side. The surviving Iranians reached base camp safely. 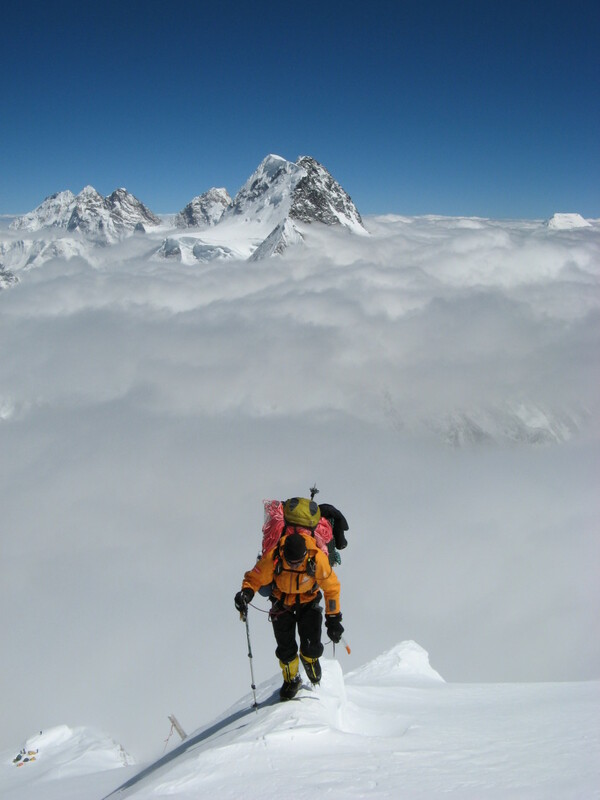 On the Raikhot Face, Karl’s two partners struggled for ten days to reach base camp. I have witnessed so many deaths on 8000 meter peaks that I have long come to recognize that only when you make it home have you “won” at this game. Both the inexperienced and the elite die with frequency on these peaks. It was too easy for these climbers to be seduced into climbing, when our team was easily convinced that the risks were too great. There is a seductive quality to these peaks. According to Karl’s website, “Karl was clearly exceptionally concerned about the danger of the big climb that they have been building up to all this time.” But he still chose to climb. Why is this 8000 meter peak game so alluring? Why do gifted athletes like Karl Unterkircher put themselves at such risk? There is a picture of Karl, his wife and their three young children on Karl’s website. For most of us, that scene, not some posed summit photo, captures the essence of human achievement. 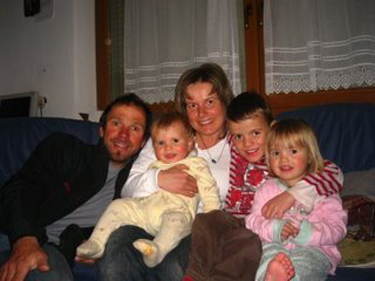 After our 2007 K2 expedition, I went to Italy to visit the family of Stefano Zavka, who sat down on the way back from the summit and died. As we talked about Stefano’s last climb tears poured down his parent’s cheeks, his sister sobbing. We were all still grieving a preventable death. A few days later I met with Marco Mazzochi, the Italian film maker and sportscaster, who filmed Stefano’s expedition for Italian TV. When I met with Danielle Nardi, the leader of Stefano’s fateful expedition, and asked why Stefano was left all alone on that descent, he gave the mountaineer’s pat reply: “It is every man for himself above 8000 meters.” Every time I hear that statement, my blood boils. Only a sport full of “ego-tists” could create and perpetuate a myth such as this. The mountains aren’t to blame for all the deaths that occur on their slopes. 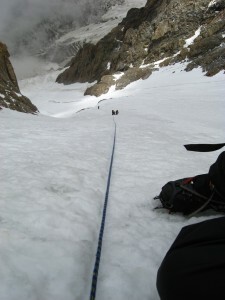 Reviewing Accidents in North American Mountaineering, human error accounts for the top four causes of accidents and deaths. Bad weather is number five. The mountains aren’t the villain. Climbers are skilled at killing themselves. I can’t speak to the motivations of Karl or Saman, but I can speak in general about the motivations of 8000 meter peak climbers. Too many of them define themselves by their participation in this game. The climbing community has nearly lost its soul with the introduction of these silly, external, measures of excellence. 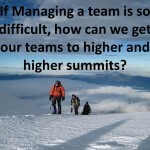 Climb the Seven Summits and you are suddenly a person of importance? Climb Everest and you are an elite mountaineer? Top out on the Fourteen 8000 Meter Peaks and your name is inscribed on some Mountaineer’s Pantheon? 30% of the climbers with more than ten 8000 meter peaks lost their lives in pursuit of number 14. For every one person that enters the Pantheon, hundreds die trying. They’ve left behind children and wives, husbands and parents, brothers and sisters, all who loved them despite the months and years these climbers spent far away from home. In the end, for the few that reach the peak, many miss the very point. Willi Unseold, the American mountaineer who in 1963 traversed Mount Everest, described an expedition as being successful only if you can apply the lessons learned on the mountain to life back at home. Willi had it right. 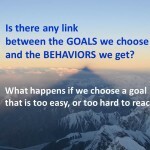 What good is all the struggle if it doesn’t positively shape how we live our lives? For me to say that Saman Nemati and Karl Unterkircher took an unnecessary risk, would seem hypocritical. Don’t I expose myself to these same dangers, and don’t I have a wife and young daughter at home? Like Willi Unseold, might I not die in the mountains? If I am take such risks, mustn’t there be a return? 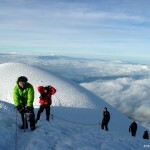 Mountaineering expeditions have so much to offer us. From the camaraderie we learn to love. From the struggles we gain strength. From adversity we gain humility. From the summit we gain confidence. All of us need a few expeditions in a lifetime to prepare us for life’s mis-adventures. But we also need to come home from the summit so we can face the true tests of human excellence. We are all home now, enjoying this precious time with our families. We arrived too late in the season to make a serious bid for Nanga Parbat’s summit. By the time we arrived in base camp, the monsoon was taking hold of the mountain. Near daily storms hit the mountain, with heavy rains falling to 19,000 feet and snow above that. Rock fall and wet snow avalanches were altering the mountain, increasing the dangers beyond a level acceptable to our team. 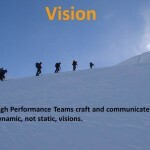 Too often I’ve been on teams that cannot agree on the severity of the risks. This time we all shared the same perception. Of course we didn’t like making the decision to end the expedition, but we’ll learn to live with that disappointment. 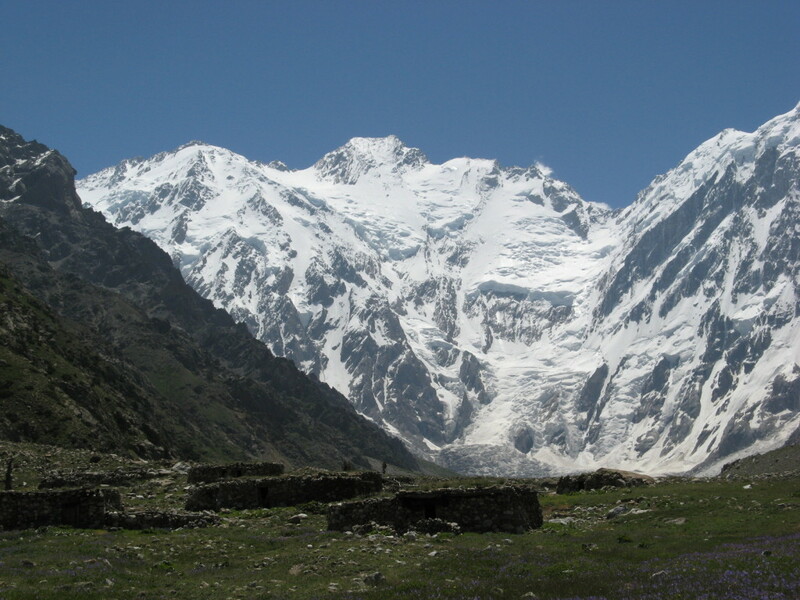 Notes: Nanga Parbat is the 9thhighest peak in the world. 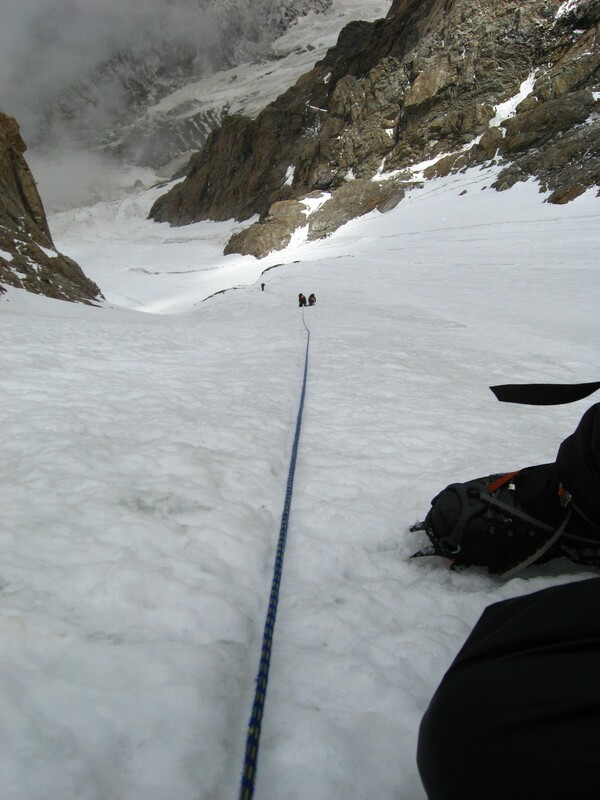 I first attempted it in 2004, stopping 300 feet short of the summit to help a struggling team descend safely. In 2008 I went back with a team of friends. We barely made it past Camp 1, because of the obvious dangers.